The Dominican Republic Carnival is the most authentic expression of the culture. With its blend of color, music and religion, Carnival is a truly "Dominican" experience. Carnival originally was a religious celebration on the date of Corpus Christi. The celebration became an escape of the pressures and rigidity of religious tradition. The carnival is celebrated for the month of February with its climax falling on or near the 27th of February, Dominican Independence Day. 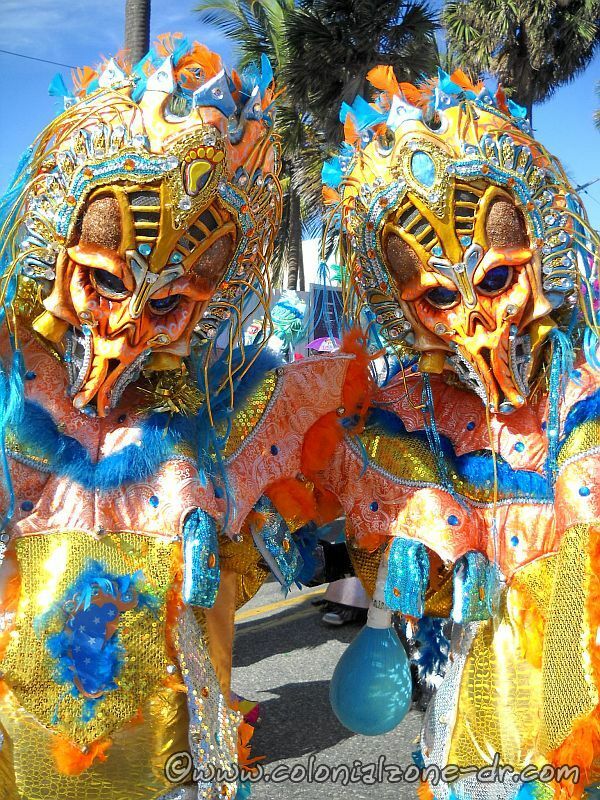 Original masks, costumes, floats and masked dance groups come together. 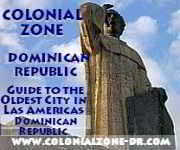 Each group represents different regions and towns throughout República Dominicana. The artisans work all year along with the members of the groups making the creative and imaginative costumes so they can join to celebrate, and compete, in this festival. Below is the newest Carnival/ Carnaval Slide Show. The pictures were taken on the Malecon in Santo Domingo, Dominican Republic where the best of the best get to parade, show their costumes and win some money and notoriety while having a great time. You can browse through the pictures one by one or view them as a slide show. Enjoy and appreciate all the work that goes into this event. Note the amazing artistry and imagination that goes into this yearly cultural event. It is a wonder to behold. This picture album is framed on this page. If for some reason you cannot see it you can go directly to the slide show. To see the slide show click on a picture in the album to enlarge. Then click on the arrow to the right of the page. This will start the slide show. Or you can click on your chosen thumbnail link to see the larger picture. Other picture albums and slide shows of Carnaval Dominicano.